It took Johanna a couple months to get used to the fact that she is on dialysis. When she did, she realized it's a great chance to show the worldabout kidney disease. She has started filming and blogging about her journey. Johanna went to the ER for weird bruising and ended up staying for 9 days. She was diagnosed with End Stage Renal Disease and put on dialysis immediately. Johanna jumped on the last 2 weeks of this film. The AD's on this film soon became family. They invited me to Georgia to work the following month! Johanna was invited to the Producer's Ball, a party thrown by the Scott Property Brothers. Therefore she drove to Toronto and got a Conference Pass for 6 days at the festival. She saw screenings, speakers, and went to industry mixers. This might have to be an annual thing. Johanna worked as the Basecamp PA wrangling actors throughout filming. She had an absolute BLAST on this film. Johanna is halfway done with filming Season 2! By the end Annalivia Farrell will have been featured in 26 episodes. She definately gets more screentime this season with G'Win (Gillian Alexy). The plan is to wrap in October and air the show on WGN America in January 2017. Johanna worked on the 2nd Unit of Fast & Furious 8 in Cleveland, OH. 15 days of wrangling Background Actors. Outsiders of WGN America has begun filming Season 2... and yes, Johanna is back as Annalivia Farrell. Johanna has accepted the supporting role of, Shannon, in Jessica Cameron's new Indie Horror Feature Film called, An Ending. Scenes are acting opposite the amazing actress Ali Ferda. Filming in Cincinnati and in Indiana. Outsiders is officially renewed and in pre-production for Season 2 on WGN America. And YES, Johanna will be back as our favorite Annalivia Farrell. Slated to premiere in January 2017. Johanna was interviewed by Abernathy Miller from the Columbus Alive magazine. She talks about her role on Outsiders and how she got into acting. Columbus is where Johanna lives so this meant a lot to her to be interviewed in Columbus about the Midwest filming. Photo by Tim Johnson from the Columbus Dispatch. Johanna was interviewed by Midwest Movie Maker, an internet magazine. She explains her character on Outsiders and how the Midwest market is growing! Watch the series premiere of Outsiders on WGN America January 26th, Tuesday night at 9/8. Johanna is a recurring featured character by the name of 'Annalivia Farrell'. See her debut on television! Johanna is in all 13 episodes, some more than others! Be sure to watch them all! Johanna has been accepted by Productions Plus - The Talent Shop up in Detroit, MI. She is excited to work with this new agent in getting roles up in the Michigan area. Johanna has taken a recurring featured role on 'Outsiders' named, Annalivia Farrell. She will be filming in every episode!. This is by far her BEST role to date. Outsiders will be on WGN America in January 2016. Johanna WON Best Supporting Actress at the Winterfilm II Competition in Cincinnati! She jumped on this cast the day before shooting. Johanna will work as a P.A. on this casting in Columbus on her birthday!! Any familes want audition for the Family Feud?! Johanna WON BEST ACTRESS at the 2014 Mid Ohio Film Association's 3 Weeks of Terror Film Festival. To see the film, Clown Party Massacre 5: Party Time 2, go to the SHORT FILMS page. Johanna WON BEST ACTRESS at the 2014 Cleveland Horror 48 Hour Film Project! To see the film, Seven Horribles, go to the SHORT FILMS page. The Last Witch Hunter is looking for extras in the PITTSBURGH area. Looking for hipster/edgy types must be 18 and over. Please send an email with your name, phone, age, location, and a photo to: OPACASTING22@GMAIL.COM. <-- Here is a phone interview Johanna did with Niki Ghosh from Slum Dog Said out of Boston, MA. She talks about working on The Fault in Our Stars and Transformers 4. Check it out! Johanna was offered the lead in this short horror film directed by Jim Higgins. She knows the photographer and one of the producers. Johanna's name came recommended! This 26 page script will be shot in Columbus, OH in June. Starting at the end of May, Johanna will be working as an Extras Casting Assistant in Detroit. She is ready for a long summer with lots of extra wrangling and phone checking. She will also continue acting on weekends. Parrallel Productions jumped into the Mid Ohio Film Association's 3 Days of Comedy Competition. They had 10 actors, including Johanna. They enjoy trying new things and so it was filmed in 1 continuous shot. Check out the 10 minute film here. Johanna got a supporting actress role in Parrallel Productions Cincinnati 48 Hour Film Project. They drew Horror, which is right up her alley. Check out the 7 minute film here. <-------- This is the Indiegogo campaign video. Donate if you can! Interested in auditioning?? There's an open casting call on May 10th! Johanna is working as AD on this short. Click for the CASTING CALL notice! Extras and local crew gather at Tower City Cinemas in Cleveland for an early Premeir. Some dressed in costume, some in couture. See Johanna down in front? Click the picture for the full story on Cleveland.com! Captain America: The Winter Soldier is in theaters NOW! Keep an eye out for Johanna on the street during the black SUV chase! Johanna snagged a featured role in the Pittsburgh-based reality TV series called "The Chair". They will be taking 1 script and giving it to 2 different directors whom will each make a film. Documentary crews will be following both productions making it a Reality TV Series! Johanna gets to be a comedic character in a wheelchair in Shane Dawson's film! 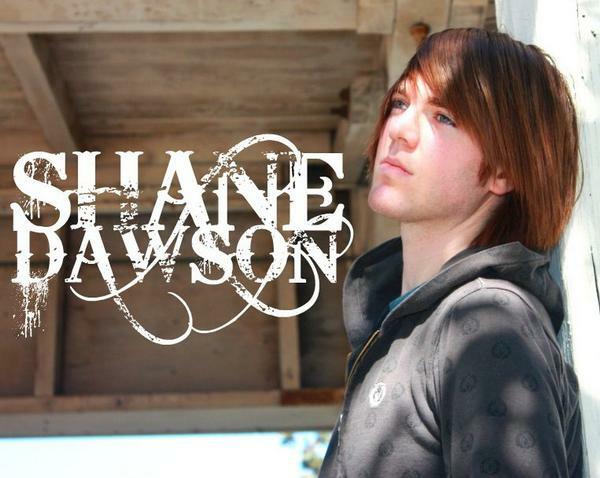 Shane is a YouTube celebrity with MILLIONS of views. They are shooting for a July release of the series and theatrical debuts of the 2 films. 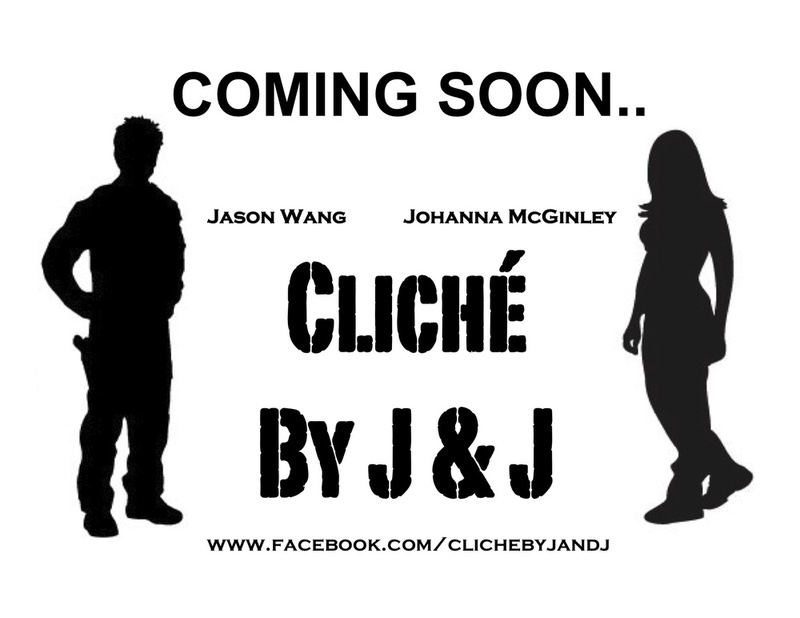 Jason Wang and Johanna McGinley are in the process of writing a satirical web series about the cliches of Life, Film, and TV. Guess who it's starring?! It will air on YouTube with it's own channel. Click the picture to see the official Facebook Fan Page. Returning home and failing to save a long distance relationship, a man struggles to conceive his new world. 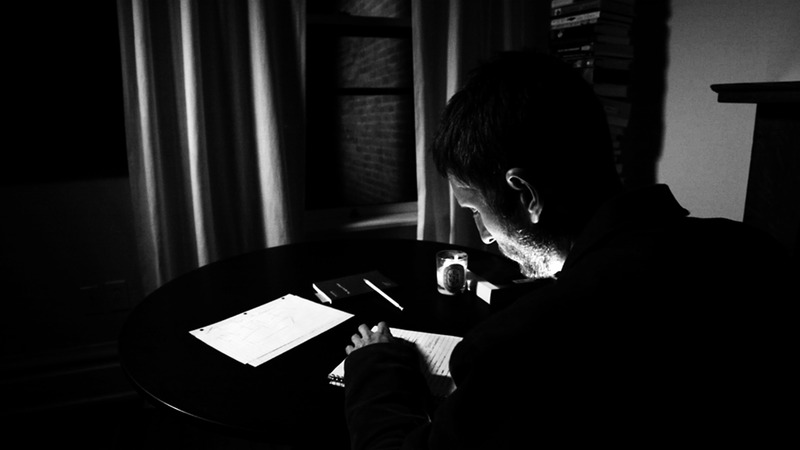 Groundless is a short film written and directed by Anthony Timperman. Filming has ended on Groundless. Johanna had the pleasure of acting and working as 2nd Assistant Director on this film. It had a very talented crew. They plan to submit the final cut to multiple film festivals. JOHANNA IN THE AKRON BEACON JOURNAL ONLINE! On Johanna's first day of work as Fiona Dourif's stand-in, for the film Fear Clinic, the Akron Beacon Journal snaps a shot of her and director, Robert Hall. This was early December in the Medina Square. Working with Robert Englund and Corey Taylor were never in her idea of what would come of 2013. But it's obviously been a surprising fortunate year for her. Spent some time soaking in the New England film industry. Mental illness is something that affects everyone. After my surgery, I feel like my mind is coming back to when I was “healthy”. Which has brought back my bipolar, anxiety, and possible PTSD. Working toward overcoming.